Save for Linus and his search for the Great Pumpkin, no Halloween TV special has become as iconic as the annual Treehouse of Horror episode of The Simpsons. 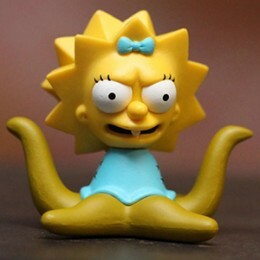 For more than 20 years, the stories have mashed up popular horror and science fiction, giving them a wild Simpsons twist. 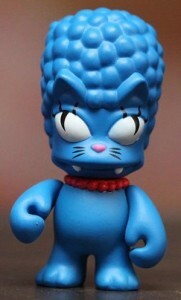 One of its trademarks is the new spin given to classic characters. 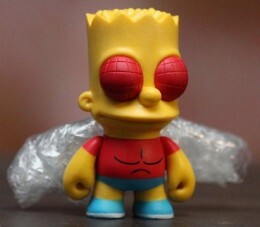 2013 Kidrobot Simpsons Treehouse of Horror vinyl figures recreate 12 of the more memorable character designs shown over the years. 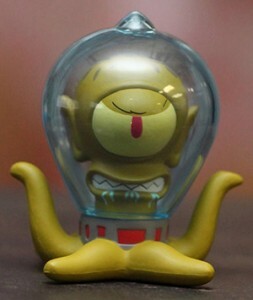 The blind box product has a similar feel to trading cards, complete with rare figures and chase version. 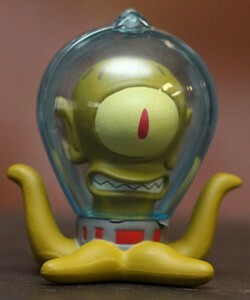 Each figure stands three-inches tall. Likenesses are highly detailed and instantly recognizable. 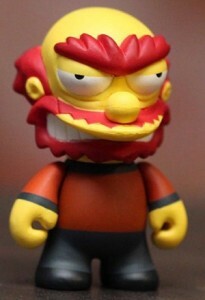 Most figures come with a small accessory as well. 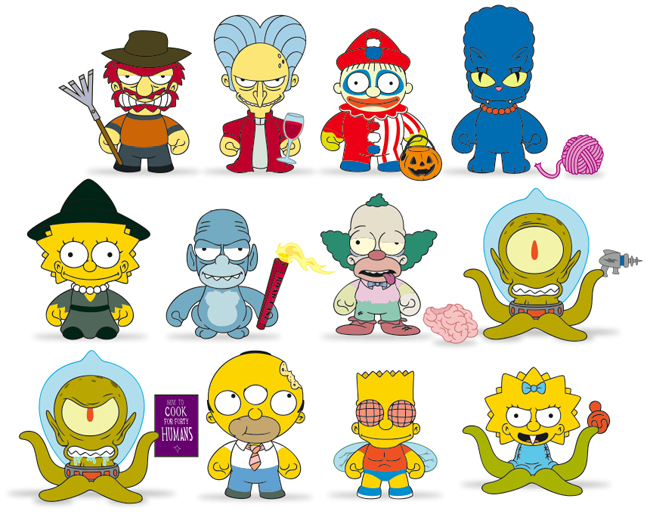 2013 Kidrobot Simpsons Treehouse of Horror cases come with a total of 20 boxed figures. 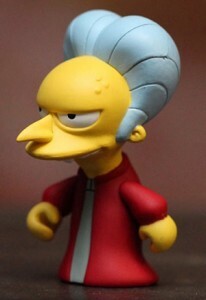 For the main lineup, Mr. Burns dressed as Dracula is the rarest, with one in every other case. 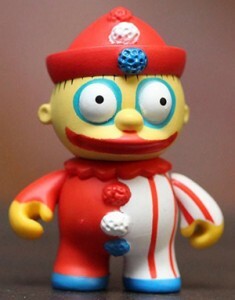 Other chase figures include Ralph Wiggum as a clown and a Gremlin. Neither comes with stated odds. On the secondary market, these rarer pieces command a strong premium, much like rarer cards and autographs. 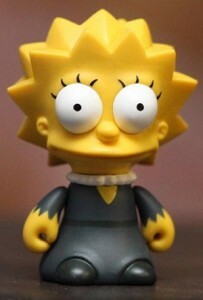 A complete set of 2013 Kidrobot Simpsons Treehouse of Horror has 12 vinyl figures. 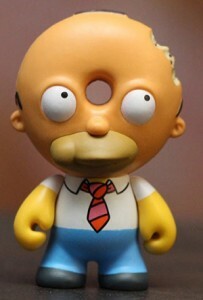 Homer is the only character that appears twice. 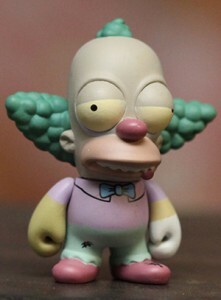 Although not part of the blind boxed series, Kidrobot also has a box set of five glow-in-the-dark figures of the Simpsons clan as zombies. Below is a full look at the lineup as well as stated odds. Click on the tab above to see a complete visual guide. 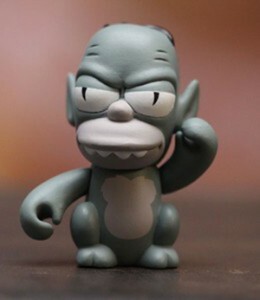 Click on the figure name or image to shop for individual figures on eBay.